Simply go to the BrainPOP website and click on the Digital Citizenship link. 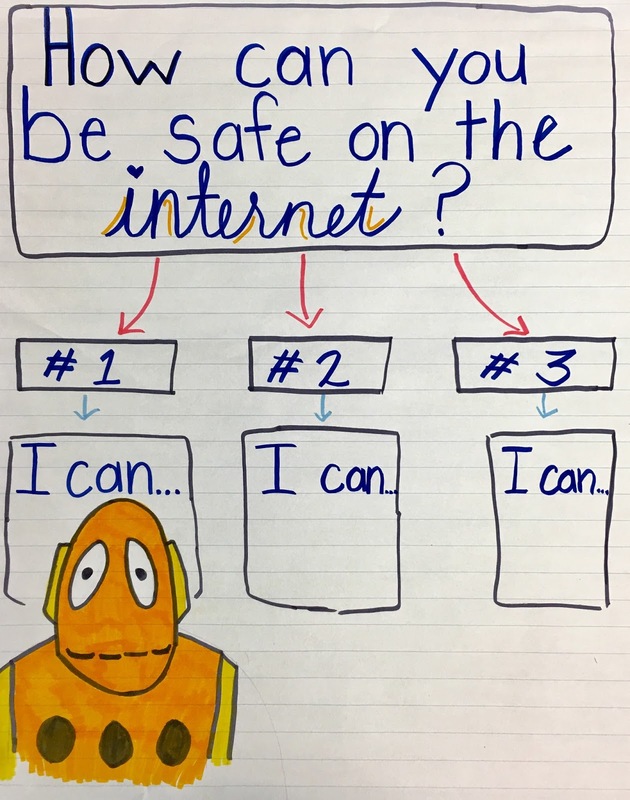 You will be prompted to sign up for your complimentary Digital Citizenship BrainPOP account. This will be a school-wide account so your colleagues will be able to access the Digital Citizenship resources, too (and they will thank you again and again!). BrainPOP has several Digital Citizenship videos and supplemental lesson activities. Once you create a BrainPOP account, you are able to assign and send students content and assignments. My personal favorite activity is Make-a-Map, a concept mapping tool. Students are able to rewatch videos, take pictures as the video plays, and use the photos to map out the topic's key details. 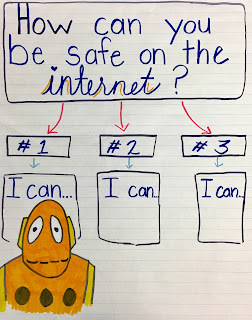 During a recent guest lesson, I shared the Online Safety video as a whole group. Students were then divided into pairs. Each pair used one computer (we use Chromebooks) and worked collaboratively to create their Make-a-Map. Each Make-a-Make had 3 main ideas and 3 accompanying details that used, "I can..." statements. Have you tried BrainPOP!? What do you LOVE about it? This blog post is not sponsored by BrainPOP. 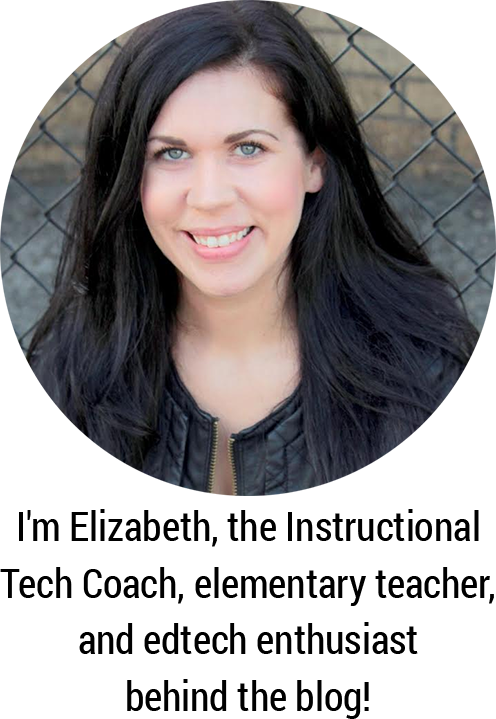 I simply love the product and wanted to share in hopes these resources will be helpful to you!